This is so important, and sometimes overlooked, even by good marketers. 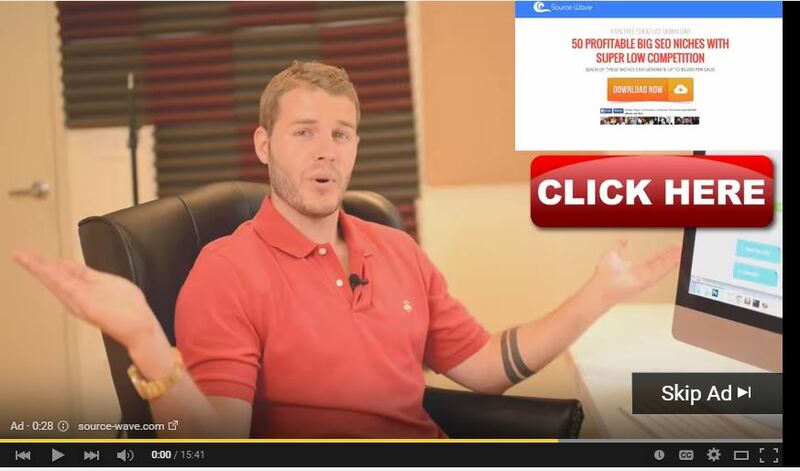 An ad from our friend Becker has been popping up for me the past few days on YouTube. I decided today to listen to what he was pitching and then I wanted to check out the landing page he was using. One problem. The big red Click Here button wasn't working. Anywhere you clicked on the video it just paused it. I wonder how much money he is throwing away with this ad... It's been running for at least a few days now. Someone should have noticed that it generated zero clicks by now I would think. EDIT: Just watched it again. You can get to the landing page if you lick the link on the lower left corner. That only makes this worse. Whoever is monitoring this campaign is likely seeing some clicks, but thinking it is a horribly converting ad (which it might be anyhow), but they are likely unaware that they are not getting true numbers from it. Seeing zero clicks would make them investigate further. That ad or a very similar ad has been running for a long time, months, maybe even a year. I've seen it on Youtube a few times. So he might be throwing away thousands upon thousands of dollars on this. Maybe it's time to send him a bill for noticing the error. So often little things like a typo or bad link can undo what otherwise would be a good campaign. It is surprising when someone is paying bucks for something that they don't pay close attention...but maybe YT is so cheap at the moment that perhaps no-one is monitoring closely. You can get to the landing page if you lick the link on the lower left corner. I keep licking it, but nothing's happening except my screen's getting wetter. I know, my screen was dusty. Now it's blurry. ooops. Yeah, don't lick the ad. Click the ad.